While the burial mounds and earthworks of the Adena and Hopewell Cultures are usually associated with the Ohio River Valley, there are lesser-known—but equally as fantastic—manifestations of these ancient cultures in other regions. One of these areas is maritime Canada and others can be found in the province of Ontario. In 1972, two-term Chief, Joseph Augustine of the Metepenagiag (Red Bank) Mi'kmaq Nation took radical measures to halt the destruction of an ancient mound in Northumberland by a gravel operation. As a young boy, Joseph frequently visited the mound with his father, who told him stories of ancient ancestors dancing near the structure while the two shared tea. Unlike the corporate destroyers, Joseph understood that tradition, rather than hurried surveys, was the best guide to the ancient past, and in order to preserve history, he decided to obtain evidence of the site’s archaeological significance himself. Digging into the tumulus, Joseph retrieved stone and copper artifacts, as well as samples of textiles. These materials were presented to the Department of Anthropology of Saint Thomas University in Fredericton, New Brunswick, and Dr. Chris Turnbull, the Provincial Archaeologist of New Brunswick. 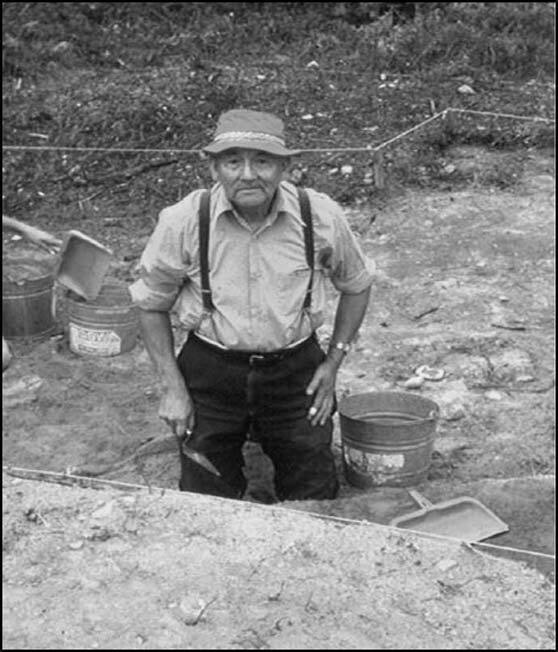 Thanks to Joseph Augustine’s efforts, a unique collaboration began in 1975, when people of the Mi'kmaq Nation worked alongside New Brunswick University students and archaeologists to excavate the mound. Among the team was Mr. Augustine and two of his children, Howard and Madeline. Excavations revealed that the mound contained primary and secondary burials of at least 13 individuals, including partly articulated and cremated remains. The 11 ft. (3.35 m.) in diameter tumulus was found to contain between 9 and 11 burial pits. Artifacts retrieved include: blocked-end tubular pipes, shell beads, shell pendants, stone gorgets, and thousands of rolled copper beads and other copper objects, as well as red ochre. Moreover, copper artifacts in the mound preserved portions of baskets, matting, and fabrics. The copper assemblage from the tumulus includes a projectile point 95.12 mm (3.74 inches) in length featuring bladed edges, a straight stem, and a flat base. The point was found still attached to a portion of the haft. The team also found a 1mm (0.04 inch) thick copper crescent. Twenty of the copper beads were cone shaped. A 50.4 mm (1.98 inch) long copper “rod” or awl (possibly a pin for a garment) was found in the primary tomb as well. Radiocarbon dating placed the Augustine Mound to between 2950 +/- 75 BP and 2330 +/- 110 BP. Remarkably, the mound has been attributed to the Adena Culture, usually associated with the Ohio Valley and typically identified by the same diagnostic artifacts found at the Augustine site. The dating for the mound places it early in the conventional Adena timeline. In 1988, Chief Joseph Augustine was given the Provincial Minister’s Award for Heritage for his efforts to preserve ancient history, which also included the discovery of the Oxbow site near the Augustine Mound. He left the realm of mortals to join the great ancestors on January 14th, 1995. Located in Northumberland, just six miles (9.65 km) east of Campbellford and overlooking the Trent River, one can see Le Vesconte Mound (120 AD +/-50 years). This mound has been attributed to a mingling of the great Hopewell tradition with the local Point Peninsula cultural spectrum. The mound measured 40 x 30 x 4 feet (12.19 x 9.14 x 1.21 m.), and yielded the remains of at least 61 individuals. Among the many fascinating artifacts excavated from the mound were objects of silver - including three panpipe covers. An adult female 45-60 years of age was found to be buried with a further three copper and one silver panpipe covers. The remaining panpipes from the tumulus were buried with children. Copper from two of the covers was subsequently traced by optical emission spectroscopy to Ontoganong County, Michigan. Due to these finds and others from nearby sites, it has been suggested that the Hopewell/Point Peninsula tradition in Ontario included regular gatherings of panpipers, perhaps in a ceremonial fashion. Could the passing of the seasons and celestial events have been commemorated with special songs? Perhaps great oral epics were told to the sound of melodic music. The panpipes with the children and the older female at Le Vesconte may have also been offerings from other regional musicians who honored the talents of the deceased. Panpipes have also been found at other Hopewell sites, including 11 from the Hopewell type-site in Ohio and one from Mound 4 at the New Castle works in Indiana. Panpipes also appear with the direct predecessors of Hopewell. In Ohio, a copper panpipe cover was found in Connett Mound 6 at the Wolf Plains Adena site in the Hocking Valley. Another panpipe was found with a bundle burial at the Logan Site; a Late Archaic Glacial Kame burial ground in Logan County, Ohio. The Great Serpent Mound in Adams County Ohio may be one of the most famous archaeological sites in the world, but there is a less known, similar effigy at Rice Lake in Peterborough County, Ontario. The undulating Serpent Mound measures 194 ft. (59.13 m.) in length and 25 ft. (7.62 m.) in width at the base, reaching a maximum height of 5 or 6 ft. (1.52-1.83 m.) The Serpent is accompanied by 8 circular or oval Middle Woodland burial mounds ranging between 1ft.2 inches - 4.5 ft. (.31-1.37 m.) in height and between 23 - 48 ft. (7.01-14.63 m.) in diameter. Since the late 1800s, it has been thought that one of these mounds represents an egg near the head of the serpent—a design similar to that of the Adams County effigy. A further 13 burials were placed in the mound as it was built up. Grave goods found with three of the burials in the body of the Serpent include: disc shell beads, a painted turtle carapace, a fragmented turtle carapace, a fishbone hook, skull of a mink, beak of loon, and copper foil beads. Of the accompanying mounds, two were found to cover sub-surface burial pits containing the remains of many individuals with no grave goods. One of the pits contained at least 18 and another 29 skeletons. It has been suggested that the people buried beneath the previous-to-serpent mound construction may have represented the lineage of local tribal or ceremonial leadership, while the burials in the body of the serpent and beneath the nearby mounds were communal rituals occurring regularly throughout the year, as regional bands periodically brought their recently dead to the great effigy for burial. An 1897 dig into the “egg” mound revealed two flexed human skeletons within two ft. (0.6 m.) of the surface, an isolated human skull, wolf teeth, a cremation, and a human skeleton at the base of the mound. A stone circle about 3 ft. (0.91 m.) in diameter was discovered at the mound base. Radiocarbon dates for the Serpent Mound span 128-302 AD, and a nearby shell midden has been dated to 58 BC, indicating that site use overlaps the Middle Woodland Period of the Ohio River Valley. Cultural features of Woodland groups regularly appear outside of the Ohio Valley in North America. This phenomenon is often attributed to such concepts as interregional trade or travelers who returned home with various vibrant cultural elements from abroad. 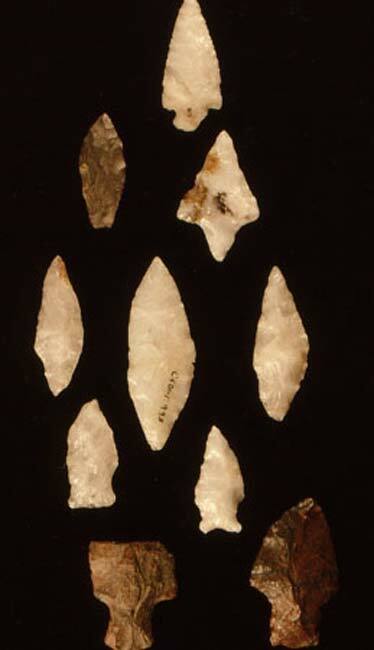 However, as the sites from Ontario demonstrate, some extra-peripheral manifestations of Adena and Hopewell feature extraordinary expressions of the ceremonial and material cultures, as well as considerable time depth. It may be that the key to increasing our understanding of these extraordinary prehistoric cultures is to reconsider the sheer level of social sophistication and interaction at work nearly two thousand years ago. 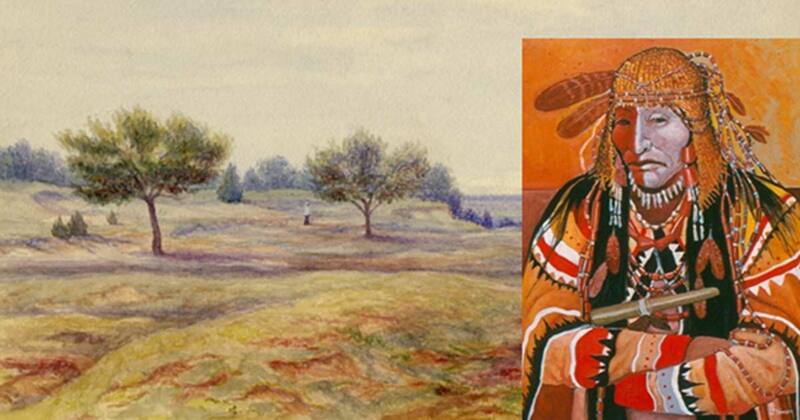 There is a powerful lesson to be learned from the story of Mi'kmaq elder Joseph Augustine. Since the late 1800s, Native American traditions and oral histories have been largely disregarded as irrelevant in the pursuit of archaeological knowledge. Yet, in this instance, a First Nation tradition identified the location of a previously unrecognized Adena burial mound. How many other incredible facts could be gleaned if the wisdom keepers of the First Nations were taken seriously? Alan McMillan and Eldon Yellowhorn, First Peoples in Canada , D & M Publishers, 2009. Tricia L. Jarratt, The Augustine Mound Copper Sub-Assemblage: Beyond the Bead , Master of Arts Degree Dissertation, University of New Brunswick, 2013. Christopher Carr and Troy D Case (Ed. ), Gathering Hopewell: Society, Ritual, and Ritual Interaction , Springer Science & Business Media, 2006. Great minds are on the same wave-length JR lol. I just posted on my blog about ancient teachers and how they employed metaphor and symbolism in their oral traditions. I have in fact heard some Native Americans say that the ice cap in the Arctic is the shell of Turtle Island while I’ve heard others say that the North and South Poles are snakes that uncoil ever so often and wreck havoc on the Earth (meaning the ice caps move due to some serious climate change). Thank you for reading my blog and for your comments. I have never been one to be in the box and, in fact, most who know me simply call be “the rebel.” And, indeed, I am LOL. The problem is that these stories and references in these stories are taken literally when they were always intended to be metaphors and analogies in par with limited knowledge and understanding. They explained scientific fact as well as they could for the time. For example the “Turtle” creation story of several tribes, what if the Polar Ice Cap was the shell of the “Turtle” they are trying to explain as a metaphore? Then it might actually make sense in what may have happened in fact. I have been reading your Blog Roberto… I love to see your “out of the box” line of thought about the topics! Great article! Sadly, in fact, as you say the oral histories of Native Americans have not been taken seriously by researchers but simply passed off as "superstition." I personally hold to the view that we can and DO learn a lot when we take their oral stories seriously because they are NOT superstition at all. IF we wanted to know the truth then we ought to listen to the wisdom keepers, but that is only IF we want to know the truth which I doubt many in academia do because typically that truth challenges their pet theories head-on!